May 2016 – Interested in Learning How to Find, Select and Eventually Live On Board Your Own Sailboat? You're in the Right Place…. Random fun photos and places we have been…. I had a few photos that weren’t really related to each other. Each, on its own, didn’t seem to be enough to warrant a full blog entry. I thought I’d share these together with a little note about what each one is. 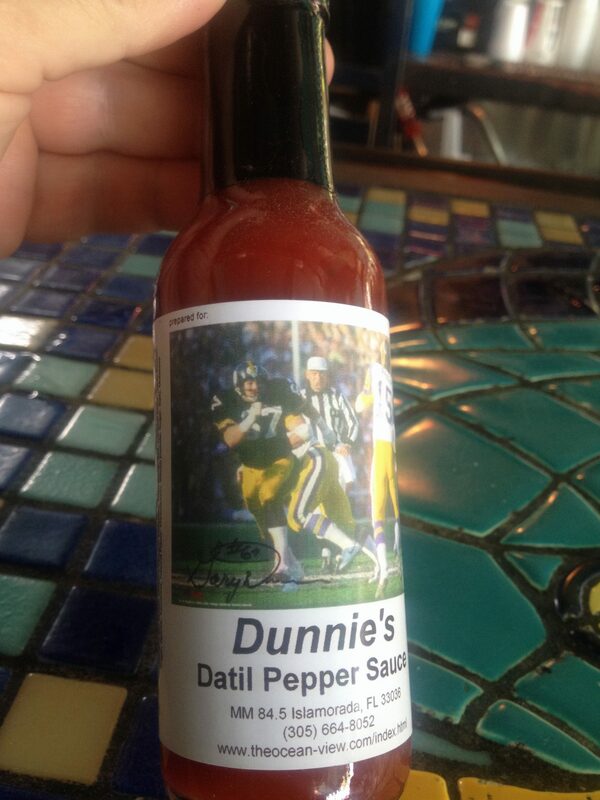 This is a great hot sauce. 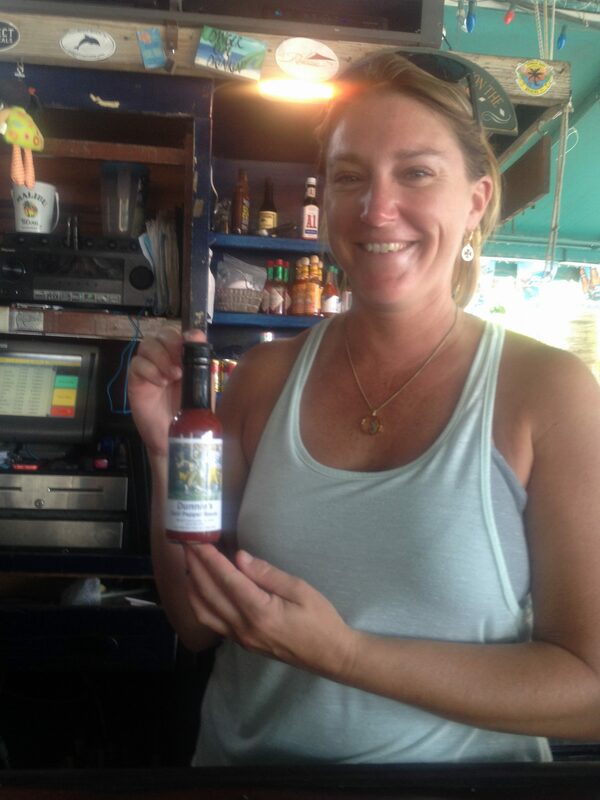 It is sold at Dunn’s Ocean View resort (aka the OV)and restaurant/bar in Islamaorada, Florida (mile marker 84.5). It is a Datil Pepper sauce that has a hint of sweetness to it and isn’t so hot you can enjoy it AND your food. The owner Gary Dunn, who is a super nice guy, played for the Pittsburgh Steelers 1976 to 1987. 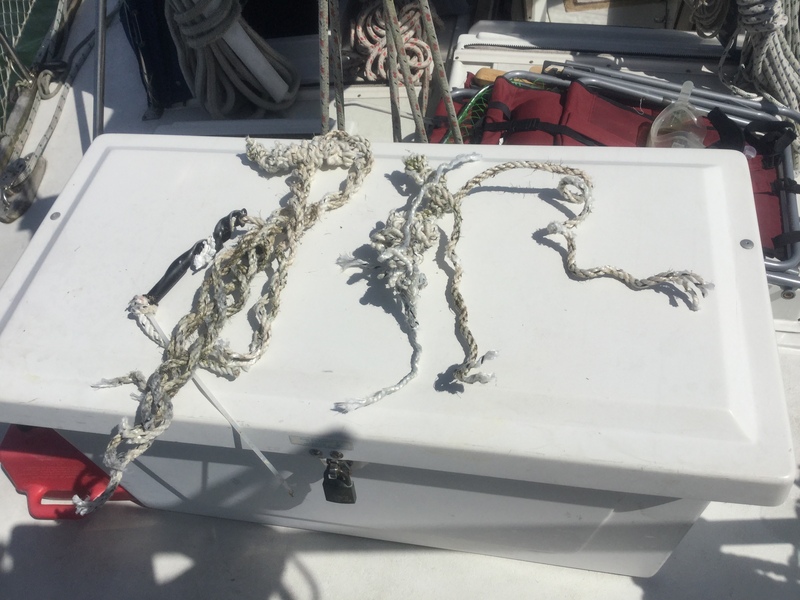 Fun things we find wrapped around the prop….this was an old crab pot line….not fun to remove…. 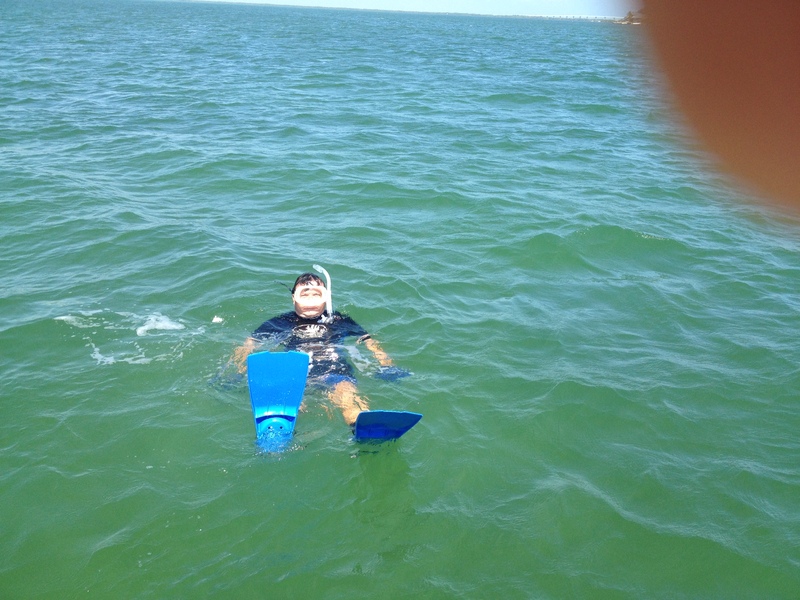 Me snorkeling….well….sort of snorkeling anyway…. 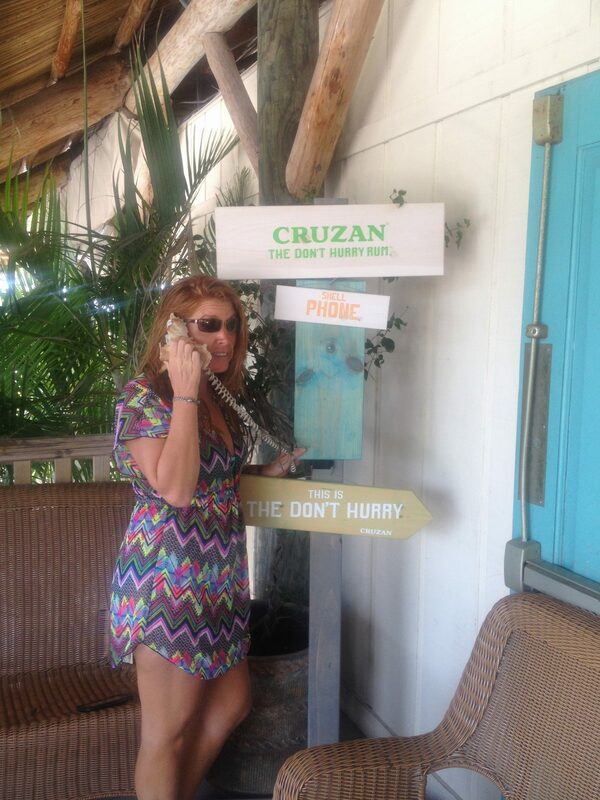 Kim taking an important call from Jimmy Buffett…..
Posted on May 14, 2016 May 16, 2016 Categories About us, Experiences, photos3 Comments on Random fun photos and places we have been…. In mid April we arrived in Marathon. We picked up my sister, Jo, at the Fort Lauderdale airport and she accompanied us for the next few days as we travelled from Marathon to Key West with a stopover at Looe Key Reef. Looe Key Reef, like many of the reef areas in the Keys has several permanent mooring balls. (A mooring ball is a floating buoy that is connected to the bottom or a large concrete, or other heavy material, anchor that has been placed on the bottom) boats are permitted to spend the day and/or the night on most of these mooring balls, so we decided to stay at Looe Key. 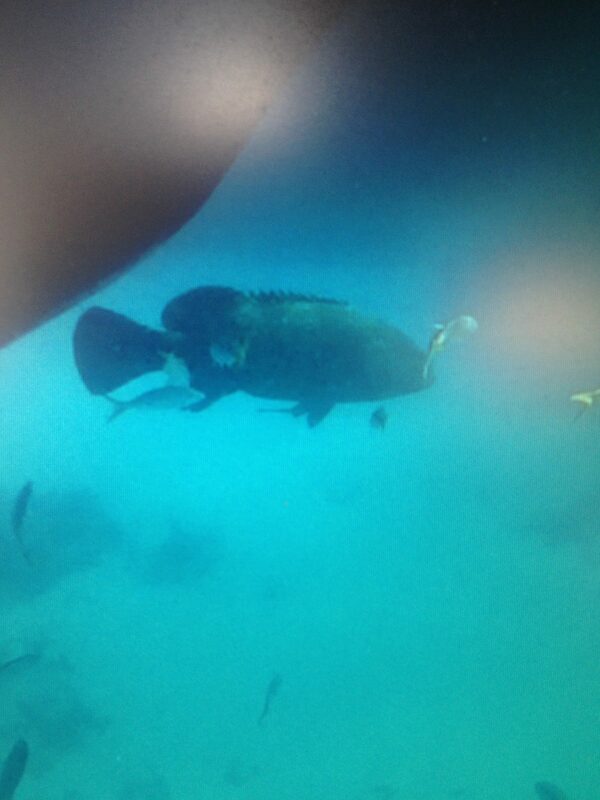 My he eather was perfectly calm and the snorkeling was great. It’s pretty nice when you can just hang on the swim platform, or near it, and see sharks, Rays, Goliath Grouper, Parrotfish and a large variety of other sea life without snorkeling over a larger area. It also made a perfect place for a stopover since it is almost exactly halfway between Marathon and KW. The Stars were amazing that night, the water was as flat as glass all night and the entire next day. 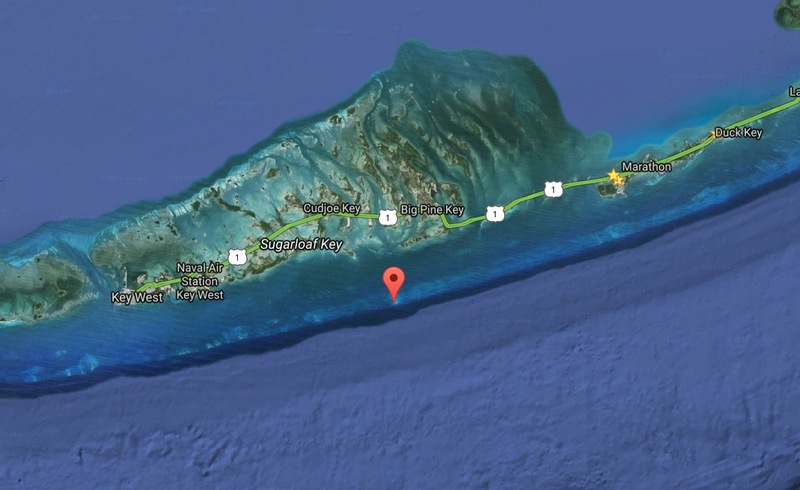 The only small issue was….no wind….so we had to motor from Looe Key to Key West but it was well worth the trade off!!! 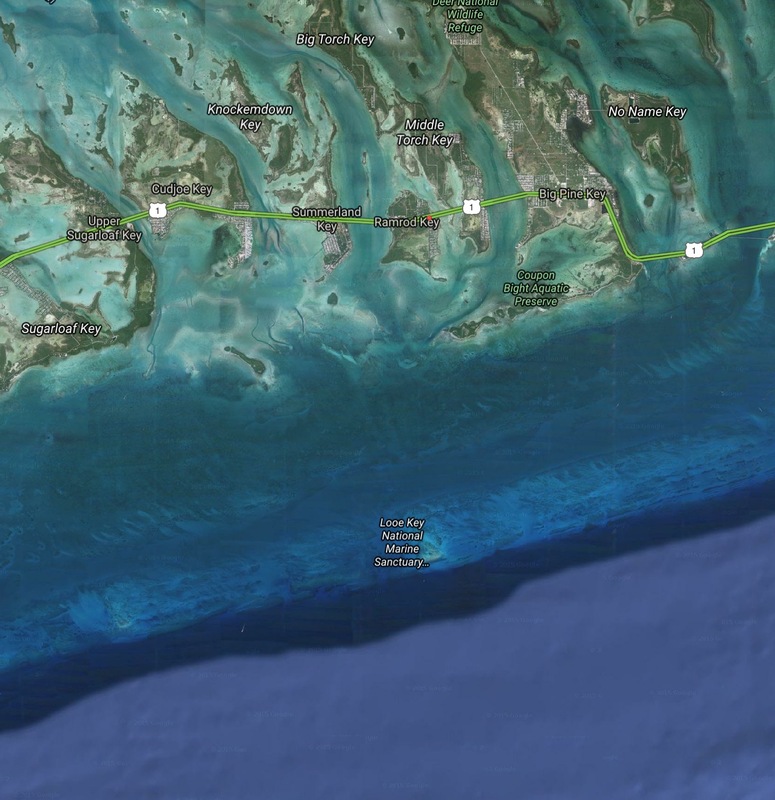 You can get to Looe Key Reef even if you don’t own a boat. It is a very popular destination for the local dive and snorkel operations. We highly recommend it. 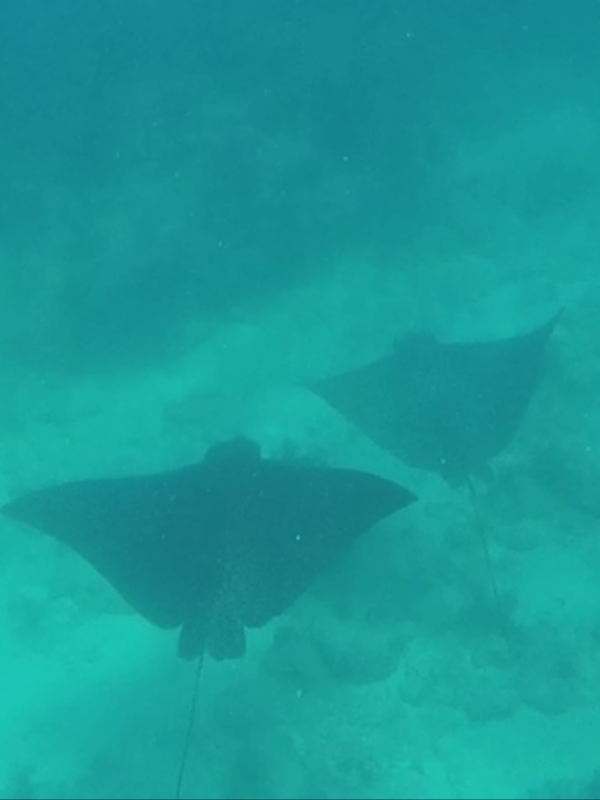 IMG_0355 <——this is the link to the Spotted Eagle Ray Video….. While we were traveling West down the Keys, we stopped over for a week near Islamorada. Now, I never imagined that I’d find a coral fossil park to be interesting but this place was pretty cool. It’s located near MM85 in Islamorada. 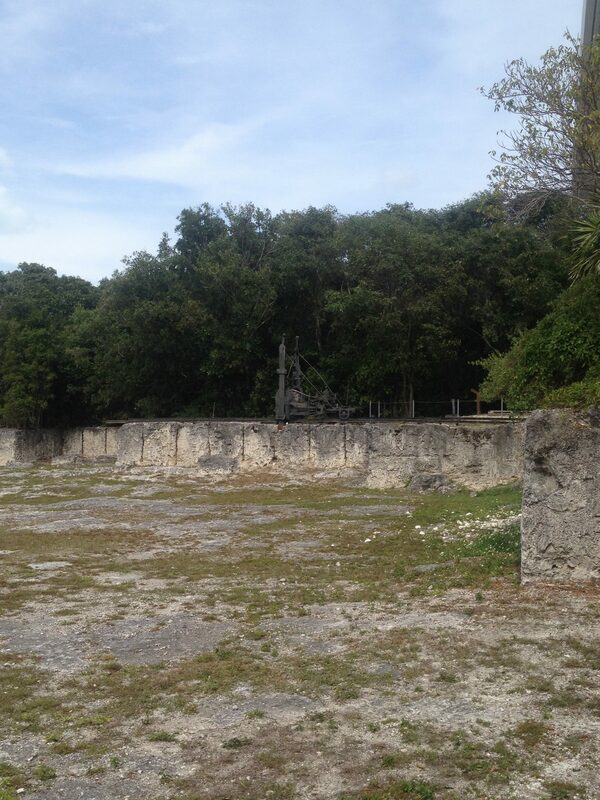 The land was formed of Key Largo limestone, fossilized coral, dating back to approximately 100,000 years ago. The land was sold to the Florida East Coast Railroad, which used the stone to build Henry Flagler’s Overseas Railroad in the early 1900s. After the railroad was built, the quarry was used until the 1960s to produce exquisite pieces of decorative stone called “Keystone”. 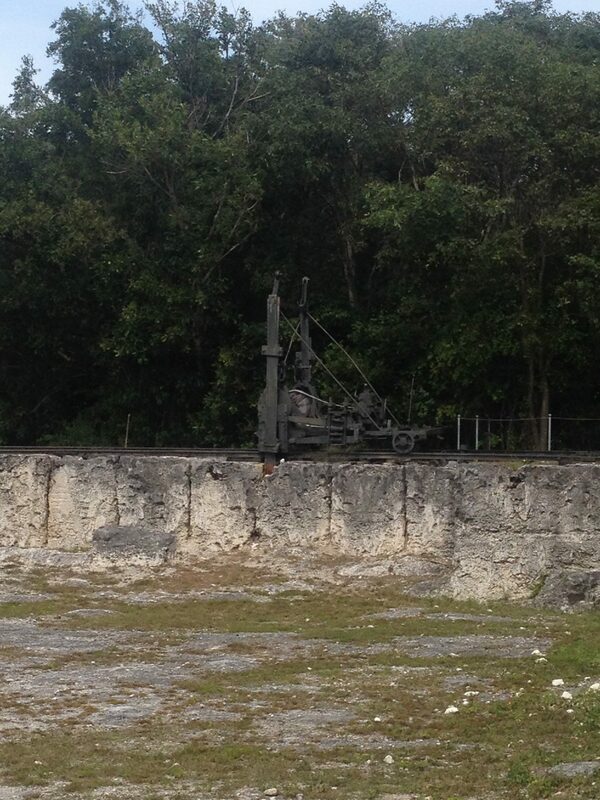 The limestone was used on many historic buildings such as the St. Louis Post Office, an altar in a chapel in NYC, a courthouse in Miami and the nearby Hurricane Monument in Islamorada. After that, it was designated as an historic and geologically significant area and has been maintained by the Florida Park Services. 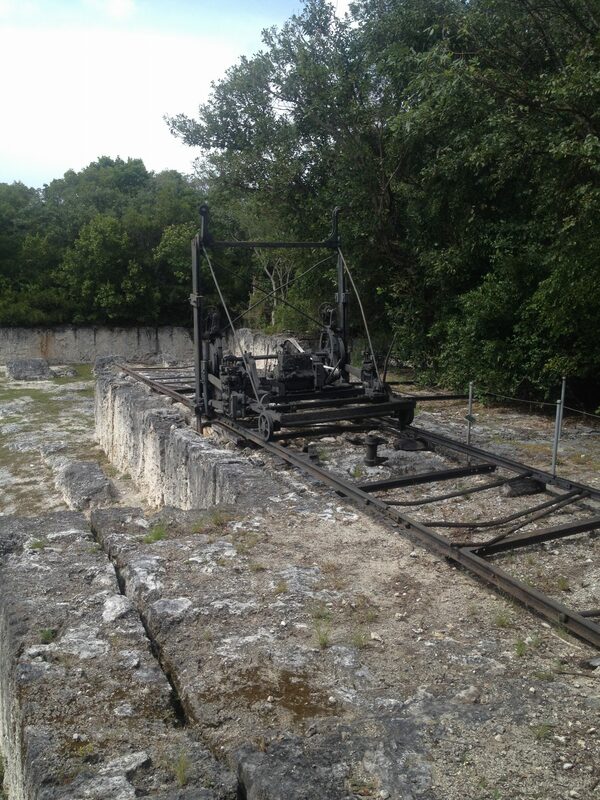 The machines would cut vertically and then horizontally to allow workers to remove slabs of the coral. The above link is a short video of a Sea Turtle at the Marathon Sea Turtle Hospital. You may have seen it on Facebook but I thought it was also worth posting here since they are so cute. 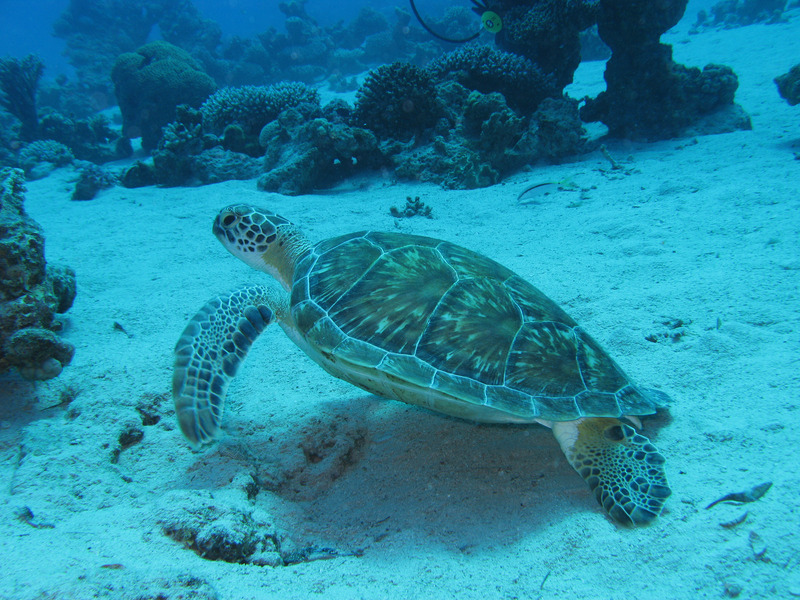 A Sea Turtle in the wild…. Posted on May 3, 2016 Categories Experiences, photos, wildlifeLeave a comment on Aw…..!!! Sea Turtles !! !